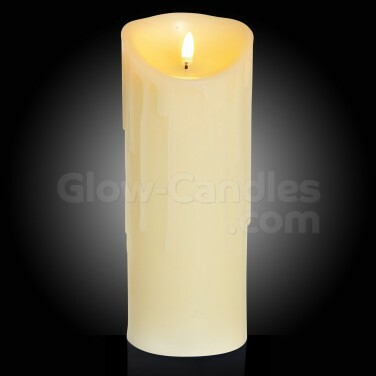 Enjoy real flame effects without risk with a stylish flickering LED candle with melted wax effects. 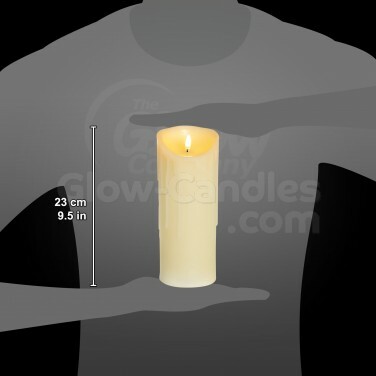 Unlike other LED candles, the flickering LED that lights this Flickabright candle is based inside the "flame" of the candle for realistic real flame effects. Made from real wax with a melted dripping effect, this 23cm tall LED candle shines with a gently flickering warm white LED that illuminates the top of the candle shining into the space around it with a warming glow.  Battery operated, this LED candle is completely safe and can be placed anywhere, even in the busiest of spaces for intimate candle lit atmosphere. 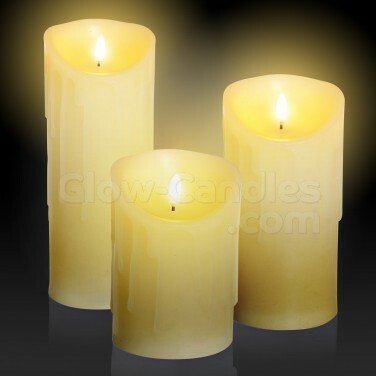 Flickabright LED candles are available in 13cm tall and 18cm tall too.